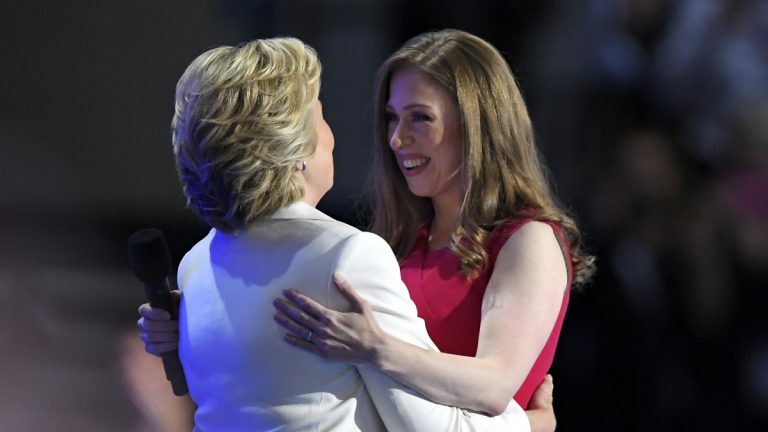 The former first daughter says she’s had a “front-row seat” to watch how Hillary Clinton serves. Chelsea Clinton addressed the Democratic Convention on Thursday in Philadelphia. She’s seen her mom surrounded by “stack of memos and reports” to review policy; described her mom as a diligent public servant. And she’s seen her promise struggling mothers she’d do all she could to help them. Clinton says her mom will fight to protect the planet, stop gun violence, overhaul the criminal justice system and work to secure human rights abroad.